The after-school hours are an important time that can be used to enrich learning and social skills. All students can benefit from the safe, structured environment offered by after-school programs. Use the Web sites in this section for finding after-school programs that are right for your child. The Web is an excellent place to begin your search for finding after-school programs in your area. Also check with your child’s school, local parks and recreation centers, and be sure to talk with other parents to see if they have recommendations. Visit after-school programs with your child to get a firsthand experience of the program. That way, you both can get a better idea of what the program offers, and decide if it’s a good fit. Boys & Girls Clubs of America is one of the most well-known organizations for youth. The organization strives to promote “a sense of competence, usefulness, belonging and influence.” They have more than 4,000 programs around the country in areas such as gang prevention and higher education planning. Enter your zip code to find an after-school program near you. 4-H is a national after-school program that works with schools in urban, rural and suburban communities to create tailored youth development programs based on students’ interests. Their “learn-by-doing” approach engages kids in local, civic and career-related activities to provide a real-world perspective to education. YMCA is an international organization that offers multiple programsfor youth—including recreation activities, academic enrichment, community engagement and leadership programs. Use the zip code search field to find the YMCA nearest you. Launching an after-school program is a huge and worthwhile undertaking. From the proposal stage through the implementation stage, this section helps you learn how to start an after-school program. Learn how to put your ideas into action with resources that help you find funding, volunteers and more. Instead of reinventing the wheel, look at other successful after-school programs for ideas. The Web can help you find a program that might serve as a model for the kind of program you want to create. One of the most challenging aspects of starting an after-school program is finding enough funding to run the program. The Foundation Center has a comprehensive database of grantmakers and information on other funding opportunities that will help you start an after-school program. Afterschool Alliance offers some practical ideas for getting an after-school program started in your neighborhood. Need inspiration? Read the “Success Stories” of other after-school programs around the U.S.
NonprofitExpert.com has an article on how to start an after-school program that takes you through the essential questions you need to ask, such as “What is the need?”, “Who is going to pay for it?” and “Who will help support it?”. Enterprise Community Partners, Inc. offers a Word document that provides more detail on how to start, produce and run an after-school program. Read about investigating partnership opportunities, gaining approval and publicizing the program. Afterschool.org provides information that is helpful for almost every aspect of starting an after-school program. Visit the “Funding and Sustainability” page for funding opportunities and information. The Corporation for National and Community Service offers grants to schools, nonprofits, community organizations and others who are committed to volunteering. Use the links provided to research available grants. Fund-Raising.com is full of fundraising ideas to get new programs off the ground, or to help expand existing programs. Use the “Fundraising Idea Bank” to browse by type of idea (for example, “Product Sale” or “Auction or Raffle”) and type of group (“School” or “Athletic Team,” among others) or search using key words. 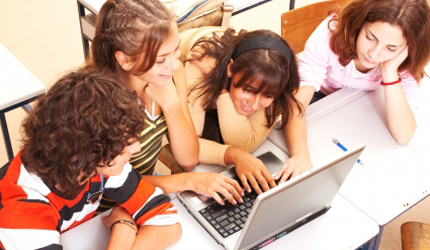 SchoolGrants provides information on obtaining grants for K-12 programs. Scroll down to browse federal and state grant opportunities, as well as foundation opportunities. The after-school program curriculums with the most impact connect learning across the home, community and classroom. Program content, staff members and even the location all help to determine whether the program will be successful and appealing. In this section, find the best Web resources for creating an effective after-school program curriculum that will entice students to keep coming back. The best after-school program curriculums encompass different cultures and values. Look for program content on the Internet that is multilingual to promote inclusion for all participants. Hoping to supplement your program’s services with help from other organizations? Use the Web to find local museums, colleges and universities that may be interested in partnership opportunities. When designing your after-school program curriculum, be creative—consider volunteer opportunities for kids. Read how kids are getting involved, and how to motivate them to volunteer. Mentor has a comprehensive toolkit for planning, designing and managing a mentoring program in PDF format. The toolkit is also available in Spanish. Learning Point Associates, funded by the U.S. Department of Education, aims to support the 21st Century Community Learning Centers and other after-school programs. Browse the list of 11 programming subject areas to find links to helpful resources around the Web. After School Exchange makes public television resources available to after-school staff and offers advice on teaching strategies and community support. Take a look at the “Activities and Tips” page for ideas or the “Students’ Take” section to see Web sites produced by students in after-school programs. TeAchnology is a web portal offering a wide range of free resources. Look for games, downloads, tips and themes, puzzle makers and more to get your after-school students engaged. Learn and Serve America explains what service-learning is and why it’s so important. Learn about Learn and Serve America grants and the different types of service-learning programs supported by the organization. The Corporation for National and Community Service provides information on how their organization can help your organization through service learning. See the “Which Program Is Right for Our Organization?” section to learn more. Do Something encourages youth to get involved in their communities by volunteering for a cause that matters to them. Get inspired by projects that teenagers across the country are working on. Whether you’re looking to become an after-school practitioner or you’re a seasoned veteran, the Web is teeming with after-school program staff training information and resources. Let the sites in this section show you where to find development and training opportunities, the latest after-school policy information, and even where to find an after-school position that makes the most of your skills and talents. The Internet is loaded with certificate programs and online classes to jumpstart your development and training as an after-school program provider. Take a look at the findingDulcinea Education Web Guide for ideas. Becoming a youth worker can be very fulfilling—and challenging. Consider getting a taste of this type of work by volunteering or working part-time; Idealist.org lists thousands of opportunities. The After-School Corporation (TASC) aims to raise awareness of after-school programming. Don’t miss the “Building the After-School Field” section for links to information on training and higher education opportunities for after-school educators. New England Adolescent Research Institute (NEARI) has online and in-house training for professionals who work with at-risk youth. Look for training in the areas of staff development, organizational development, behavior management and special education. Idealist.org is a platform where thousands of professionals in the nonprofit and education sectors go to search for jobs. Search for an after-school program position or post an opportunity; it costs $60 to post jobs but it’s free to post volunteer positions and internships. Community Career Center is a job board for nonprofit employers. Search for jobs by city, state, job title, job type and other criteria. Positions are updated regularly, and you can view postings up to two weeks old. The Afterschool Alliance is a nonprofit that focuses on the importance of after-school programs and advocates for the creation of quality programs. Read the latest policy news and find out how you can get involved in after-school program advocacy. National Youth Development Information Center links to agency Web sites that work for advocacy and policy initiatives for youth development programs. You’ll find a mix of nationwide government and nonprofit organizations. The National Network of Statewide Afterschool Networks brings together statewide after-school programs in order to build partnerships and support after-school programs. Check out the programs in each of the 38 participating states by hovering your cursor over the “About The Statewide Networks” link on the upper left.